Transfer Multisort Elektronik Sp. z o.o. seated in Łódź at ul. Ustronna 41, 93-350 Łódź (hereinafter referred to as "TME") is the Data Controller of your personal data, therefore it determines the methods and goals of processing your personal data. Providing the personal data is voluntary, however it is also necessary for us to conclude contracts and perform services. 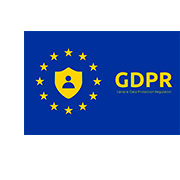 You can contact the Data Protection Officer on matters concerning the protection of your personal data via email at dpo@tme.eu or by sending a letter to our headquarters. Profiling of personal data performed by TME means we process your data (including in an automated manner) and use it to assess some information, in particular to analyse or forecast personal preferences and interests.